• There will be no deletion or editing of posts (unless in extreme, extreme circumstances) as the STAFF do not believe in that form of censorship - though there are limits as to what is accepted as good form. The mod’s / admin’s responsibilities lies not with deleting / editing / censoring post, but to make a statement in the topic about proper conduct to get the topic back on track. Come on then Matt, share some Stormtrooper love here. Here's one Matt posted on another forum, hope you don't mind me posting it here. It seems there are a lot more original helmets in the archives that I realised. 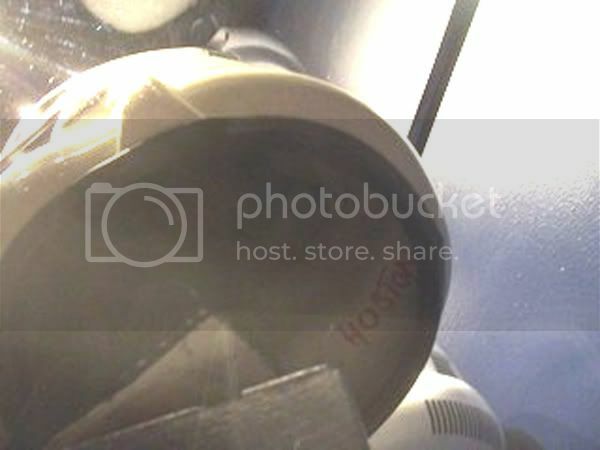 I don't know if Mac or someone could do anything with this photo of the interior of a ROTJ bucket. Besides it's missing brow trim that trooper helmet looks from what we can see to be in pretty good condition. TE, how many original trooper helmets and costumes would you say LFL still has? Are they stored well these days, or just bundled in boxes? Post subject: Re: ROTJ Stormtrooper Helmets - What do we know? Bump, anyone have any more Jedi helmet pics to share? I found this one. I hope it is helpful for you. This is as good as I can do with the image you posted Joe. Thanks guys, where is the full trooper picture from? Thats a pretty awesome shot AJCG....fantastic! Thanks guys, I am glad you liked it. This one of the ROTJ stormtrooper from Lucasfilm Presidio. bump, any new pictures or info............?